Too slow to be a meteor, too bright when seen at dawn or dusk to be considered contrails, and with a signature flare of two tails. What are these objects? These are jet trails, caught as clouds frequently are at sundown or sunrise, glowing orange. Is there any reason why there have been a lot of television shows about how to survive an apocalyptic type of event, to a show premiering on 5/22/11 on National Geographic Channel "When Aliens Attack". Also to the CDC now issuing steps for a "Zombie Apocalypse"? I know there was a lot of attention to Harold Campings "Judgement Day" prediction for 5/21/11 (which of course was false again like his Sept. 94 prediction). It just seems like there's been a lot of shows coming out lately either trying to get people into a survival like mode or these shows could be leading to something bigger. In a way trying to "calm" people for the real truth to be reviled soon? Could the show about "When Aliens Attack" refer to the Anunnaki possibly attacking as Planet X get's closer to earth as it's been said that's where they live and all? You would assume that maybe they would title the show "What if Aliens Attack" as opposed to "When". Kind of like they know there will be an attack of some sorts or if it's their way or trying to keep people afraid of "Aliens" as most are starting to get comfortable with the idea and fact that humans are not alone? [and from another] http://channel.nationalgeographic.com/series/when-aliens-attack/all/Overview What if an extra-terrestrial force attacked Earth? What might that look like and how will the people of Earth respond? Consulting a cast of world-renowned scientists, survival experts and defense experts, this two-hour special, Alien Invasion explores this frightening scenario. Experts reveal what could motivate alien invaders to attack Earth, and speculate on how the attack might play out - the strategy alien invaders might use and the most effective ways for humans to respond. Well turn to science and history to figure out what works. Well show how humanity can survive this ultimate test. The puzzle is not how humanity can resist an alien attack but why National Geographic would want to posture the hypothesis. The show steps out on the wrong foot on all fronts. Taking a page from the War of the Worlds script, it presumes that aliens are out to conquer the Earth, when clearly the visitors are already here, en mass, and not pushing that agenda. And it presumes that an alien race would need the Earth for raw materials, biological products not available elsewhere, when clearly aliens with the high tech capacity to travel to Earth could manufacture these chemicals in labs. Putting the mindset squarely in the military realm and in the era of the 1950's, the show seems to be defending those in charge of the military and MJ12 in that era. When Aliens Attack was produced at the behest of the US military and former MJ12 members who are stung by the recent moves at disclosure, such as the release of the Skinny Bob video, and want their side of the story told. They feared the aliens who had contacted them, which were in truth primarily of the Service-to-Self and gave off malevolent vibes, and have never stopped plotting how to get the upper hand. "Please understand," they seem to be saying, "our first obligation was defense of the Earth." The US military and other early members of MJ12 such as the CIA and religious elite were, as we have stated many times, threatened by the very concept of humanity in contact with the visitors, not only from a standpoint of defense. It was clear that colonization or mining of the Earth was not planned, but the propaganda against friendly contact has never ceased. Movies such as Independence Day, Signs, and TV series such as Taken or The Event abound, all with a core message that aliens are infecting humans, invading human society, and are not to be trusted. The individuals behind this push are not defending the Earth, but are trying to defend their own status within human society. I would like to ask this question. Residents of many countries which are near Russia, freely across its border. 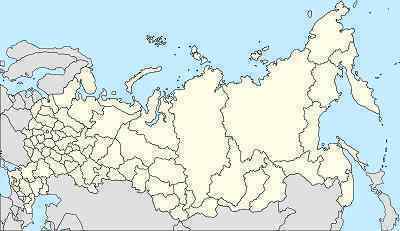 They may plan to move to such areas of Russia, which will be safe when a pole shift and after him, such as Siberia or the Far East. What plans has the establishment in Russia to close the borders? When they want to do it and how these restrictions will be tough? [and from another] Please could I ask about the possible migration route(s) through Mongolia, into Russia, or conversely from Russia into Mongolia? I'm involved in a project which assists families to grow vegetables in Selenge, the Northern Province of Mongolia. The villages involved being Shaamar, Javkhlant, Orkhon, Sant and Baruunburen. Should we prepare for an influx of migrators? Any further information would be very helpful! Russia has vast borders and as with the US cannot defend them all, nor does it plan to do so. In such cases, limited border control is instituted in those places where the influx is the greatest or the migrants are the least desirable. For the US, at present, this is the Mexican border, due to drugs and those seeking employment in the US during a time of depressed employment opportunities. Russia has been primarily concerned about its borders with satellite countries that are in rebellion against Russian control, such as the Chechnya rebels. What will the vast country of Russia do when faced with the pole shift or the immense flooding of its territories anticipated to occur in the Aftertime? Certainly they will not try to keep migrants from coming into the country as their problem will be the reverse - hoards of people trying to flee the rising waters. As we have mentioned, the Russian government plans to bunker in the Urals, which will be high ground and is well within Russian territory. We have advised would-be survivors to avoid this area, as we have advised those within the US to avoid the Denver area. The Urals will be aggressively defended, and any citizens nearby will be conscripted into a slave labor force, as will also be true in the Denver area. Is there any connection between Queen Elizabeth's visit to Ireland and the poleshift? What is the Queens reaction to the pole shift and does she have specific plans for her survival? Does she plan to warn the people of the UK? Have the USA given anymore information to small countries like Ireland about the upcoming poleshift or is it still a case of 'nothing to worry about' as in one of the previous G8 meetings. [and from another] Queen's visit to Ireland May 17, 2011 http://www.guardian.co.uk/uk/blog/2011/may/17/queen-visit-ireland-live The Queen's arrival in Dublin later today has been overshadowed this morning by the news that the Irish army has made safe a bomb near Ireland's capital. [and from another] Obama to visit his ancestral homeland: Ireland May 22, 2011 http://www.cbsnews.com/stories/2011/05/22/eveningnews/main20065178.shtml President Barack Obama departing Sunday evening on an European trip that will take him to Ireland, England, France, and Poland. 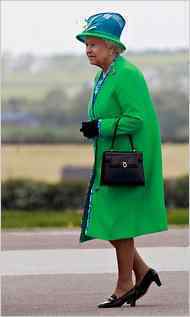 Why would the Queen go to Ireland, in a gesture of making amends, just days ahead of Obama's trip there? They did not cross paths in Ireland, though barely missed each other, or did they? The Queen went with an entourage - staff and guards - who did not necessarily depart on the very day she did. Likewise with Obama's entourage, who preceded him to ensure security and make arrangements. Were the Queen and Obama, or their staff, to meet face-to-face in London it would be obvious and thus these meetings were safely conducted between staff where no one was looking for such interaction - in Ireland. What was the substance of the meetings, requested by the Queen? As we have repeatedly mentioned, during the Queen's 2007 visit to meet with Bush and the Queen's 2010 visit to the UN, the Queen plans to desert her people when the Earth changes indicate the pole shift is eminent, and is looking for a welcome mat in a country she feels could provide the greatest safety for herself and her family. Obama has not offered a welcome mat to the Queen and her family, but this has not stopped her from continuing to seek such refuge and protection. Could the Zetas please comment on the TV Show - "The Event" . Is the US Government behind this in any way? Or is it just a regular TV show - trying to get good ratings. [and from another] http://en.wikipedia.org/wiki/The_Event The plot centers on a group of extraterrestrials, some of whom have been detained by the United States Government for sixty-six years since their ship crashed in Alaska, while others have secretly assimilated among the general populace. [and from another] Early on in the series a black president is almost assassinated by a mega-rich billionaire reclusive type, for planning to inform the world that there are aliens on Earth after crash landing in the 40's but the aliens intervene at the last minute to protect him. (Kennedy, Obama, protections and Roswell all getting in on the act.) With a few twists and turns, the relationship between the president and the aliens (who look like humans but have a lifespan of over a hundred years) breaks down. It turns out that the aliens are bad and the billionaire was actually acting as a guardian for the human race against the aliens. Then it transpires that the alien's home world is dying and they intend to kill off the entire world's population by spreading a strain of the Spanish Flu across the world; a strain that was developed by infecting an alien/human hybrid with the disease to allow it to mutate. How much of a coincidence is it that the name of the character who controls the portal that brings the planet to Earth is Gerard? To me that was just too much - they might have well called the leader of the aliens, Nancy! Human lookalikes are a common theme in alien lore, and for good reason. A number of alien races cannot be distinguished from humankind, at least not at a superficial glance. Pleiadeans and Nordics and the Men in Black look human, though genetically they could not interbreed successfully, such are their differences. The early members of MJ12, who are still highly influential in human society, were aghast. They feared a takeover from within, humans with a parasitic implant or infection acting on behalf of an alien civilization as sleeper cells within human society. On their behest, films of this nature - horror films - were produced by Hollywood. Since this phenomena has not manifested in human society, why is this still the theme so many decades after Roswell, when MJ12 was allowed conscious contact with aliens? This is not a reflection on the reality of contact and the rules guiding alien/human interaction, but a reflection of the power that these early members of MJ12 hold in human society. When MJ12 was formed it was composed of the top members of military intelligence, the wealthy elite, and a smattering of the religious elite and royalty. Where primarily a US operation, other countries such as Britain and Russia were included. Control of the world's military might and financial clout are thus influenced, even today, by these individuals. The Catholic Church, royalty, and military units are top-down operations which value tradition and groom underlings carefully to carry on the traditions and values of those at the top. Wealthy families operate in a similar manner, putting a favored member in charge of the family assets. If the group paranoia in the 1950's was to fear a takeover of human society by human lookalikes, then this paranoia has been passed down to the present. The Event includes many scenes seeking to exculpate these early MJ12 members from their sins, i.e. killing JFK when he was planning to announce the alien presence. Those with the greatest guilt in the Planet X cover-up, such as the wealthy elite, are given the role of mankind's rescuers. And the mantle of guilt in the plan to exterminate many of the world's population via AIDS or bird flu pandemics is shifted from the elite to the aliens. There is even the desire to somehow blame aliens for the sudden appearance of another world near Earth, ala Planet X. The Event is pure propaganda, all around. In the ZetaTalk chat on 14th of May 2011, Zetas have mentioned that poleshift would occur when earth gets push back counterclockwise from the June position into the August Position. Does it also mean that this scenario would happen during the last weeks when Planet X moves to the far right towards Earth trying to evade the ever increasing particle crowding while both Venus and the Dark Twin escape from the cup? Is it possible to know where Venus and Dark Twin would end up relative to the sun and earth when they escape the cup? The dance between Planet X and the planets caught in the cup becomes frenetic just ahead of the last weeks. Nancy has drawn a diagram, under our direction, of the movement of each planet involved. Lets take them one at a time. Planet X reacts to the cluster of planets caught in the cup before it by slowing in its progress. Since it is moving outbound from the Sun in a retrograde orbit, when it stalls it is slightly to the right of the Earth when viewed in line of sight from the northern hemisphere. Progress has been steady but slow. As the squeeze tightens, the planets in the cup crowding together, they pop out, allowing Planet X to come closer to the Earth, to move with more ease in its outbound trajectory. It has only one planet to deal with at the time of the pole shift - the Earth - and this is not a hindrance to its speed and motion. The Dark Twin is the first to escape from the cup during the squeeze. It came up behind the Earth in their shared orbit in early 2004, and was captured on film at that time emerging from behind the Sun. When it caught up to the Earth, it fell slightly behind the Earth in their shared orbit, but has not passed the Earth. In this position it has likewise been caught on film, in the evening sky after dusk. When the cup tightens and the Earth and Venus are pulled closer to Planet X, the eddy flow changes, creating a tuck after the Earth, almost forcing the Dark Twin out of the cup. It escapes, thus. Venus is at the forefront of the cup squeeze, being the closest to the outbound Planet X. It has been moved back and forth before the stalled Earth to effect a normal orbit from the viewpoint of Earth, as part of the Element of Doubt requirements. As the last weeks approach, the Earth and Venus are drawn toward Planet X by gravity attraction. The tightened eddy flow prevents a simulated orbit for Venus, and Venus is instead pushed toward the Earth, looming large. The particle crowding becomes intense, and it is literally pushed out of the cup to travel in its former orbit path. The Earth, as the only magnetic planet caught in the cup, finds her wobble worsening as the last weeks approach. The near presence of Venus and the Dark Twin create bumping actions, which worsen earthquakes, a ricochet action in the cup. The Earth is drawn toward Planet X 7.3 weeks prior to the pole shift, by gravity, as is Venus. This is a terrifying time for the inhabitants of Planet Earth, as Planet X has become undeniably visible in the sky, and Venus looms large. The wobble worsens, the Earth leans her N Pole away into the 3 days of darkness, etc. After her sister planets escape the cup, the Earth is drawn even closer to Planet X, such that her rotation is gradually stopped by the grip on the Atlantic Rift. The pole shift lies just ahead. Simply stated, Almaty hopes to attract tourists and activity to the town, by being a UFO hub. Many fraudulent videos have been developed to this end, though as with the rest of the world, valid sightings and captures have occurred. Most of this, however, is fraud. NASA announced a 2016 launch of The Origins-Spectral Interpretation-Resource Identification-Security-Regolith Explorer ("OSIRIS-Rex) unmanned spacecraft. The stated purpose is to obtain asteroid samples from near Earth asteroid 1999 RQ36; the samples are not expected to arrive until 2023. Is this yet another disguised plan to gather information about Planet X for the exclusive use of the power and wealthy elites or just a NASA public relations stunt? As with all probes sent aloft over the past decade, this one has been sent aloft to peek at Planet X and attempt to determine its magnetic alignment and trajectory. Instruments on board triangulate with other observation points such as the ISS and other probes, so that the current posture of Planet X and any movement along its trajectory can be determined. From all of this, they know no more than the common man reading ZetaTalk. They could save themselves the trouble, but prefer to rely upon man's knowledge base. If they would inform the common man, and cast aside the cover-up, they would learn much more as we would be more forthcoming.